At the SharePoint Conference this week, Session SP210 on upgrading to SP2013 mentioned a brand new feature that didn’t exit in the preview edition: MaintenanceWindows. As you can see from the screenshot above, this feature puts up a simple banner alerting users of the upcoming work. The message is localized in the users language so long as language packs are installed. The “More Information” link can point to any page you specify. I was pretty excited about this, and couldn’t wait to try it out! The PowerShell to do this wasn’t as easy as I expected. I’ve pasted below what worked for me. #before we can do that we need to create a Maintenance window object and populate it. $MaintWindow = New-Object Microsoft.SharePoint.Administration.SPMaintenanceWindow "MaintenancePlanned", "1/1/2013", "1/2/2013", "11/16/2012" , "1/3/2013", "1:00:00", "http://www.mydomain.com/outageinfo.html"
# Parameters 2-5 all take a date time in this format: "1/20/2012" or "1/20/2012 5:00:00 PM"
Ok so that’s it – refresh your website and you should see the pink banner on the screenshot above! Note, I originally tried to do this by just setting up a blank object without paramters, and then setting the properties one by one, but I found that MaintenanceStartDate and NotificationStartDate could not be changed after the object was created. One of my network admin friends needed an easy way to provide some users with a list of names vs AD account names. In many organizations, this is easy to guess, for example if my name is Jack Basement, my id might be jbasement, but in this case, it wasn’t that easy so we needed to go to AD. There are AD cmdlets, but they are not in powershell by default. If you have the Remote Server Administration Tools for Windows 7 installed, then you’ll find a link to “Active Directory Module for Windows PowerShell” in your administrator tools menu. which outputs the same thing, but to a file. Get-ADUser -filter * -SearchBase = "OU=mygroup,DC=basementjack,DC=com"
shows a few good examples. While you can easily delete both from Central admin, you can create neither of them from the service applications page. $serviceApp = New-SPStateServiceApplication -Name ""
I ran into an issue where an access report would not display because “session state is not turned on” it didn’t say which one, and through some trial and error, I now understand it was likely looking for the service returned by get-SPSessionStateService. For me that returned a blank line with no database entry so I thought I’d be best to delete it and recreate it from scratch. While deleting and recreating the SPStateServiceApplication is easy, the SPSessionStateService was not easily done in SP2010 with the included powershell commands. Fortunately I found this article: http://ikarstein.wordpress.com/2010/12/14/error-while-enabling-session-state-service-on-sharepoint-2010/ Which had the steps to recreate the service manually. I enabled the ASP.Net state windows service, then followed the article above, stopping about half way through, before the provisioning part. In troubleshooting, I wasn’t aware of the difference between states so I deleted the “wrong” one in an attempt to reset it. A little digging and I now have a better understanding of the issue and of the two different state services. Simple PowerShell to Enable BLOB Cache on multiple SharePoint sites. I needed to enable / configure BLOB caching on multiple sharepoint sites. 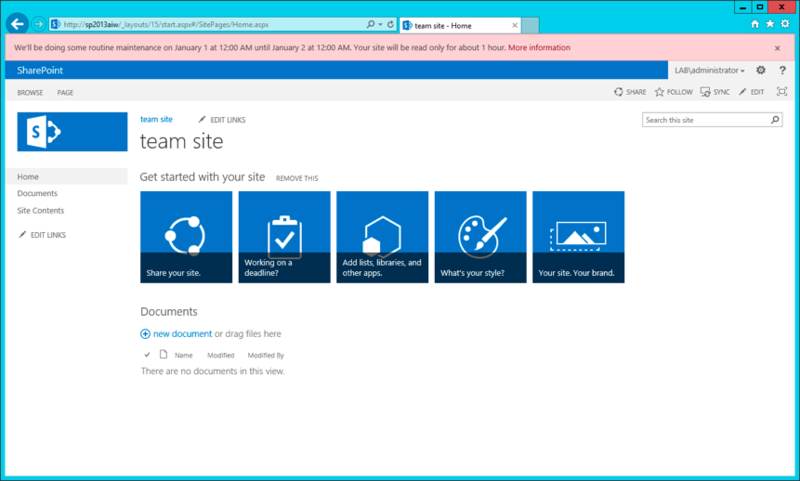 This is done by editing the web.config of each SharePoint site, on each SharePoint server. Note that since its just editing the web.config, we don’t need to run this in a SharePoint shell – I ran it from an ordinary PowerShell command prompt on my workstation. Echo "Run this script under an admin account with rights to the servers being hit"
# loop through each subdirectory to find each sharepoint site. # while leaving alone central admin and other non-SharePoint websites IIS had. $path = $dir + "" + $subdir.name + "Web.config"
$backup = $path + "_$currentDate.bak"
Over on my old Blog, Basementjack.com, Remco de Groot commented that this isn’t the best way to change a web.config in SharePoint and he’s absolutely right! The article above does a great job of explaining the new script and is a must read. In summary, it uses SharePoint to make the change, and this is a huge help down the line if you ever need to add or replace a SharePoint server in the farm. Today when I tried to change one through the GUI, It threw an error. The ULS logs were a mess, and not wanting to loose a day opening a case with MS I tried PowerShell. The solution is fairly easy. This is a script that gets each sharepoint site on the farm, enumerates all the site collections and webs and dumps them to the screen as well as a CSV file. The Current date and time is always appended to the file name so you don’t have to worry about wiping out previous results. $timestamp = get-date -format "yyyyMMdd_hhmmtt"